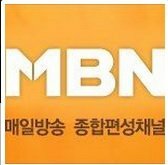 News TV Channel / Maeil Broadcasting Network, Inc. is a South Korean nationwide general cable TV network operated by Maeil Business Newspaper. The company was founded on September 23, 1993, as Maeil Business TV. It later changed its name to MBN. The station is owned by Maeil Business Newspaper and was formerly a news channel between 1993 and 2011. On midnight, December 1, 2011, the station transitioned into a general programming cable TV channel from a news channel after 17 years of operation. MBN general programming was launched along with JTBC, Channel A, and TV Chosun.